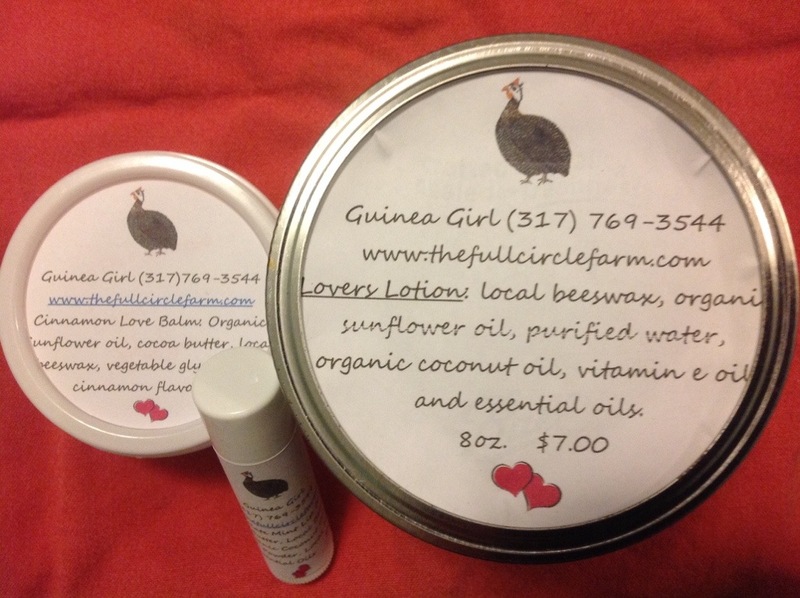 Guinea Girl is a new line of organic and natural products available from Full Circle Farm, please check out the new page. Valentines day is right around the corner. If you are looking for a locally made item for your loved one, look no further. Check out the special valentines package with lotion, cinnamon love balm and chocolate lip balm. Why not pair this gift with reservations to your favorite farm to table restaurant? I can’t think of a sweeter Valentines Celebration than that.